Lovely brand new first floor apartment located near the Forge Shopping Retail Park and within walking distance of Carntyne Station. 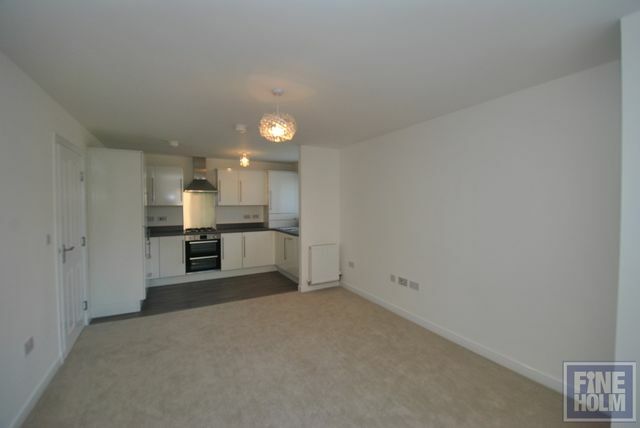 The flat has entrance hallway with storage cupboard, bathroom, master bedroom with ensuite shower room, second single bedroom and open plan living room with kitchen area. The living room is bright and spacious and has stylish kitchen along back wall. The kitchen has dishwasher, washer dryer, double oven and hob and fridge/freezer. GCH. Double glazing. Secure entry. Communal areas are looked after by the factor and are immaculate.